Pastor Dustin was talking to us about Matthew 5:13 and talking about salt. We were talking about how we each have our own gifts and we have to bring our gifts and share them to make the world more tasteful. As I’m sitting outside the Brown’s house, I’m looking over Jerusalem. The one place I keep staring at is the Dome of the Rock, I want to know more information about it. Everywhere we go and there’s an outlook, I find it and take a picture. I feel a calling to find more out about it. I’m also looking at the sky. Dustin asked us why we were here, why we felt the call? I said because I wasn’t able to do mission trips and youth rallys in high school, and I felt the need to open my faith some how, and this felt like my calling. As I was looking at the sky, the clouds and sunset made it look like God was shining down. It made me teary eyed. God really has called me here… I’m just waiting to find the reason. Kacie Hamm is studying to be a respiratory therapist at the University of Mary in Bismarck, North Dakota. 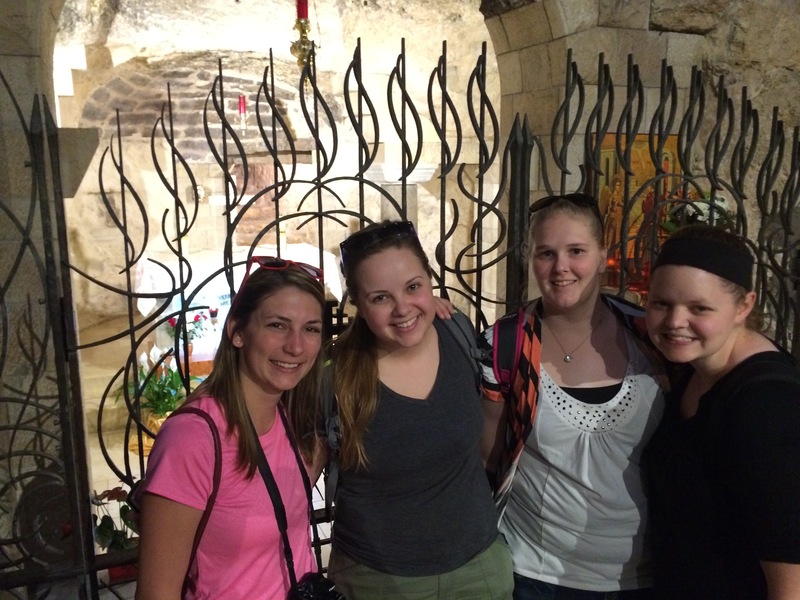 This entry was posted in Region 7 Trip and tagged Holy Land by pnw2014. Bookmark the permalink.